When deciding to sell your business, it’s important to have an understanding what your business is worth as you enter the M&A process. Five common business valuation methods assist you in figuring out your business’s value. Your company’s assets include tangible and intangible items. Use the book or market value of those assets to determine your business’s worth. Count all the cash, equipment, inventory, real estate, stocks, options, patents, trademarks and customer relationships as you calculate the asset valuation for your business. A business’s gross income, ability to repay debt and capitalization of cash flow or earnings determines its current value. If your business struggles to bring in enough income to pay bills, its value drops. Conversely, repaying debt quickly and maintaining a positive cash flow improves your business’s value. 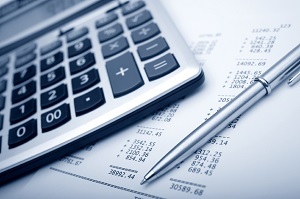 Use all of these factors as you determine your business’s historical earnings valuation. With the relative valuation method, you determine how much similar businesses would bring if they were sold. It compares the value of your business’s assets to the value of similar assets and gives you a reasonable asking price. The profitability of your business in the future determines its value today, and you can use the future maintainable earnings valuation method for business valuation when profits are expected to remain stable. To calculate your business’s future maintainable earnings valuation, evaluate its sales, expenses, profits and gross profits from the past three years. These figures help you predict the future and give your business a value today. If profits are not expected to remain stable in the future, use the discount cash flow valuation method. It takes your business’s future net cash flows and discounts them to present day values. With those figures, you know the discounted cash flow valuation of your business and how much money your business assets are expected to make in the future. For the best and most accurate results, compare two or more methods so you’re prepared for the Merger and Acquisition process and can confidently stand by the value of your business.